This is an espionage thriller set during India's moment of triumph---the Bangladesh liberation war of 1971 . 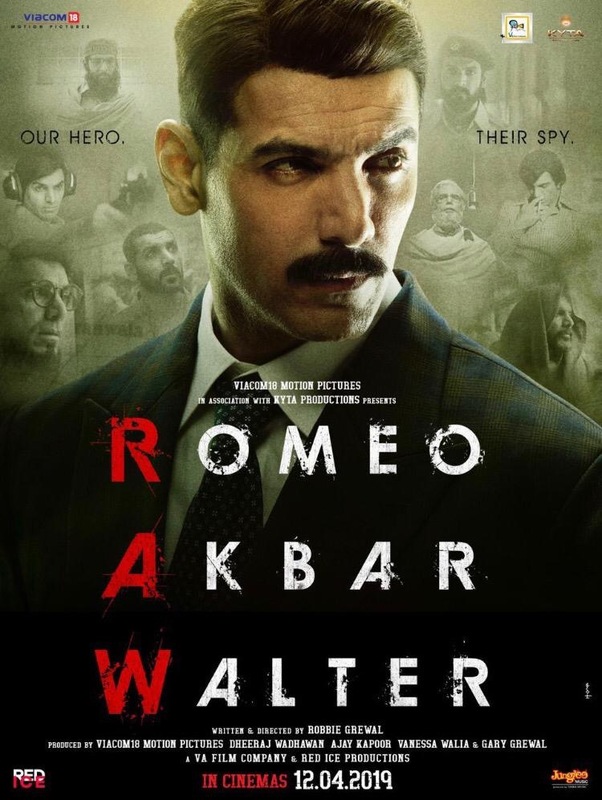 John Abraham plays Romeo Ali , son of a veteran of the 1962 war against China . Though he is a banker by profession , his father's patriotic reputation means that he is under the scanner for recruitment in RAW ( research and analysis wing ) the spy agency of India . He is duly tested and is found physically fit , so he is tasked with spying in Pakistan for India . His name there becomes Akbar Malik . His task in Pakistan is to attain the trust of a Pakistani arms dealer and through that trust get information about a bombing raid which is going to be conducted by Pakistan on Bangladeshi liberation fighters backed by India in east Pakistan . This is a film , so typically he has a love interest played by Mouni Roy . He has several RAW agents helping him , some being Pakistani . While being recruited for RAW , the head of RAW played by Jackie Shroff tells him that any instruction that is passed on to him even verbally will be in vague language and he has to learn to decipher the real meaning behind it . This becomes mighty important as the climax approaches , as it seems RAW has abandoned him by washing hands off him verbally and he is forced to become turncoat and work for Pakistan . Even before this , his sojourn in Pakistan is not easy because a tall and strapping Pakistani ISI ( spy agency ) agent played by Sikander Kher has become suspicious of him and arrests him and tortures him . In the end he becomes Walter Khan who works for Pakistan's ISI . Or does he ? Watch the movie for the answer . The movie moves at a slow and languid pace and you have to be patient to get to the high of nationalism that you have been waiting for , for it is only towards the climax that the movie delivers that . Background music and songs are decent and acting by everyone is most appropriate for the situations . Colours and photography are only okay but nothing special . The movie is for die hard aficionados of spy thrillers and for military buffs . Others may find the pace of the film a tad too slow and picking up speed only towards the end , and be a little disappointed . A lot of cinematic liberty has been taken in certain situations , but that is only to be expected as it is just a film . Last edited by ashdoc; April 9th, 2019 at 11:05 AM. AK has the desi flavour . Abraham seems to be westernised .